​Agile science is a people-centered, success-oriented, efficiently rigorous approach to make progress on sociotechnical problems. people-centered as it is grounded in the real-world needs of individuals. success-oriented as we ground all evaluation and optimization on clearly defined criteria of success. efficiently rigorous via the classic scientific concept of triangulation. We strive to clarify the most important assumption being made at a given moment and then evaluate it as efficiently and rigorously as possible. We then iterate and test again, often with a complementary but also efficient method for the stage of the process to balance strengths/limitations of the approaches. 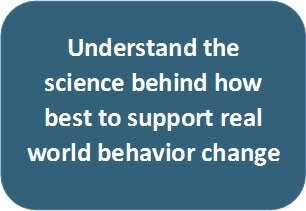 has been developed in the context of behavior change interventions as it is, arguably, the node of sociotechnical systems. The team is testing and expanding the approach into a broader array of health interventions including pharmaceuticals, medical devices, behavioral interventions, policy interventions, and interventions that combine these modalities. 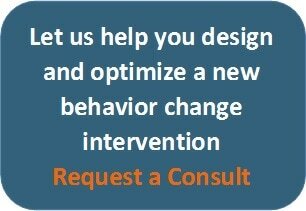 If you are interested in how agile science applies to domains outside of behavioral interventions, please contact us! simplifies problems not by studying a phenomenon out of context but, instead, by decision-based evidence making to modularize the problem, bounding study to plausible options currently available to enable iterative but meaningful progress. from targeting insights about what works in general to precision on what works for whom and in what context. This is because people are different. Context matters. Both change. from experts solving problems to diverse connected people with agency solving problems together. This is because the knowledge, experience and expertise to solve problems is increasingly distributed across a network, not a single person. 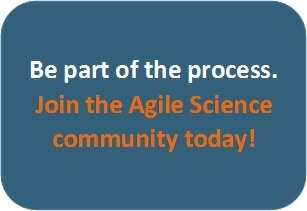 How can the agile science team help you?